Gearing up for a move, we’ve been committed to some long days of packing and this means not much time for the routine cycles, so we’ve turned to short bush trails for a bit of a relaxing break. We chanced upon Shenton Bushland when dropping off some linen to the Cat Haven earlier in the week and decided to return around sunset on a cooler day. Located on Lemnos Street, the trail head is a few metres away from the dog shelter and under a kilometre walk from Shenton Train station and the Perth to Fremantle bicycle path. There is a hill to approach, though on the way back it’s all downhill. A Jarrah and banksia woodland covers parts of this bushland and it’s beautiful to walk through. 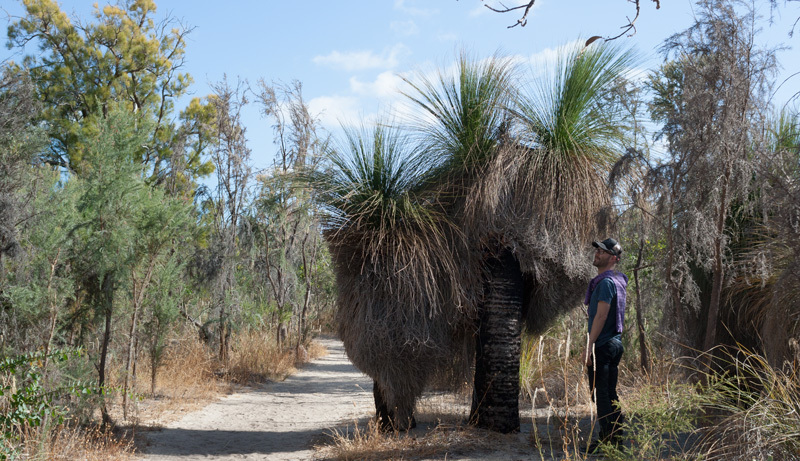 While a lot of the bushland around Perth has been disturbed and degraded over time, thanks to volunteers from Friends of Shenton Bushland and the collaboration of the local city council and government this area has been revitalised and restored. 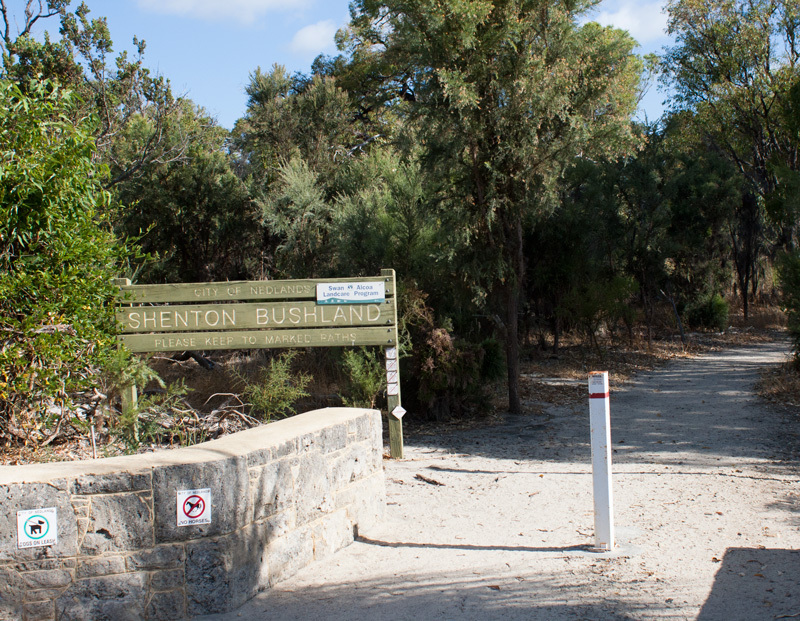 Interestingly, Friends of Shenton Bushland Inc was formed in 1992 to stop plans by the State Government to bulldoze the area for an industrial estate. Without this level of community involvement, this native bush wouldn’t be here for us enjoy and explore. More importantly, without this area there wouldn’t be a place for animals or wildflowers. 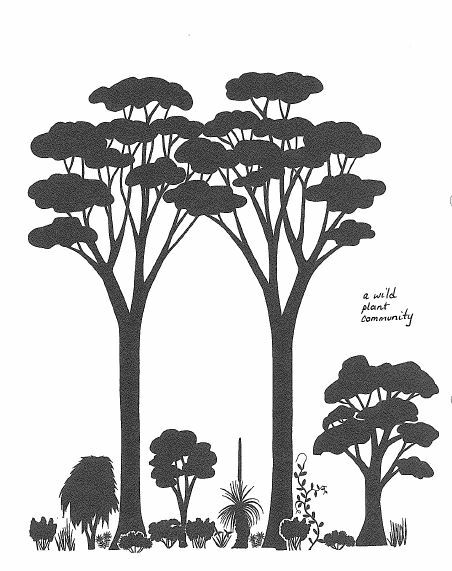 The occurrence of such a woodland supports a unique community of fauna and flora that would be near impossible to find in neat modern day parks. In this particular woodland, the collective presence of banksia plants and jarrah trees provide shelter and food for birds including migratory ones, reptiles and even mammals like possums! The understorey of the woodland supports some stunning wildflowers during spring season and I think we’ll have to return next year to check it out. A management plan adopted in 2014 found 52 species of birds, 49 species of fungi, 3 species of mammals, 28 species of reptiles and 82 species of weeds. Invasive weeds are a problem constantly being addressed and volunteers manually weed certain sections. Volunteers also collect seeds for plant food for the Carnaby’s Black Cockatoos. As we wander the path, insect noises are loud and the sun at 6pm blares down on us, however as warm as the sun is, the wind is stronger today. Walking through bushland can be interactive, to those open to learning more about nature or simply for the act of enjoyment. Each season brings a slightly different landscape in Western Australia. We stop when we hear rustles to spot a reptile. We look for the spider that has spun that massive web between two trees. We keep an eye out for owls or other mammals. We search for the source of bird calls in the sky above. Over the past couple of years in Western Australia we’ve spotted kangaroos, bob tail lizards, snakes, birds of prey, black cockatoos and an unidentifiable mythical creature. Kicking myself I didn’t have the zoom in lens for the last one. We are hopeful we will encounter an Echidna and Tawny Frogmouth one day. Eventually we reach a section alive with birds singing one song and flying erratically from tree to tree. It takes a good 15 minutes of walking before we spot one resting on a branch and are able to identify it as the Rainbow Bee-eater. These migratory birds travel to Perth in summer to nest. Unfortunately I didn’t bring the right lens to capture, however Bird Life have a nice picture here. 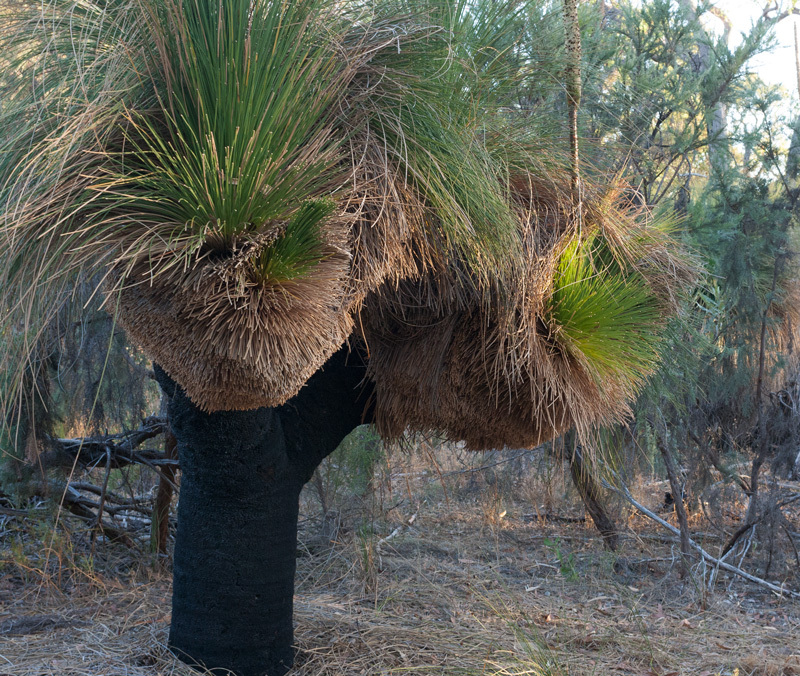 A highlight along the trail is the population of grass trees (Xanthorrhoea preissii), some given time to grow to some impressive heights, also quite a few close to the trail have been pruned into interesting shapes. 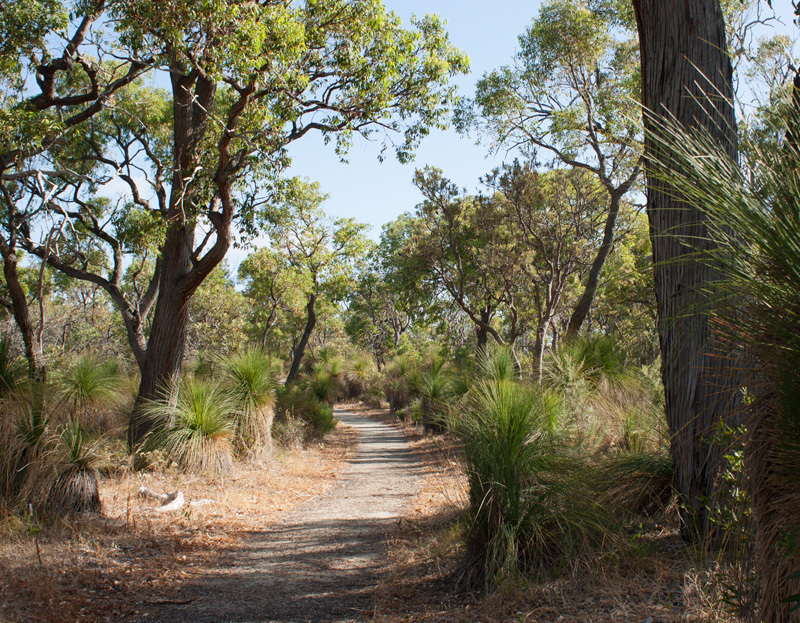 The trail is predominately compact limestone and there are additional sandy paths that spur off, stick to the trail you enter the bushland on and it loops back to the entry. It’s a fairly easy and clear trail to navigate and perfect for the occasional cool summers day. Sunrise and sunset is probably the best time to visit. 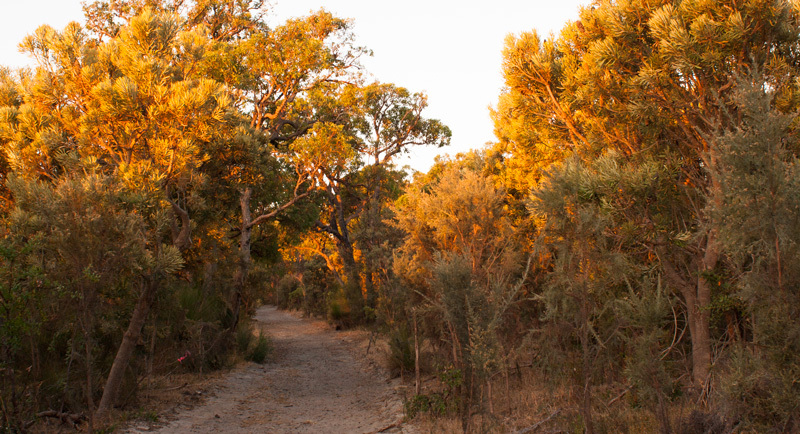 As the sun sets, the colours in the bush change dramatically and we experience a different kind of sunset in Perth. The Jarrah (Eucalyptus marginata) tree towers over the Banksia. To spot one, look for a tree with bark rough fibrous and greyish-brown in colour. The bark sheds in long strips. The leaves are shiny dark green and paler on the other side. The flowers bloom in early summer. 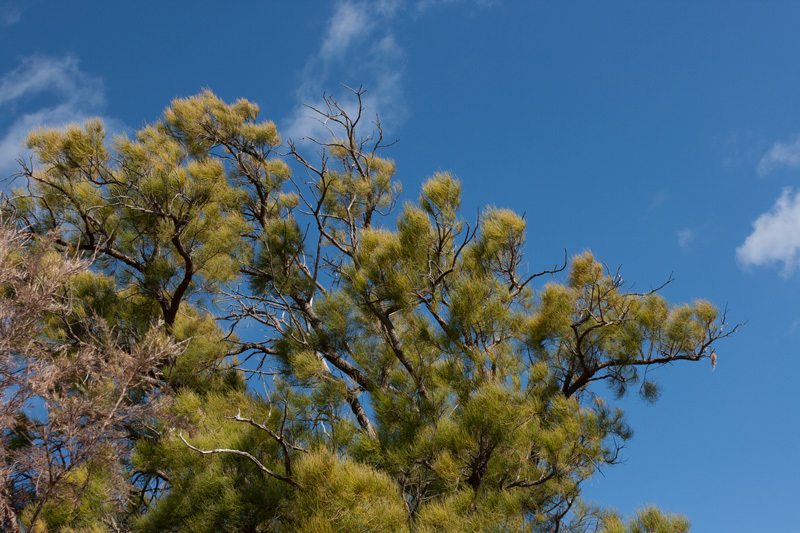 Being well suited to the Swan Coastal Plain, these trees grow to great heights. For local wildlife in Perth, Shenton Bushland provides a refuge in what has become a heavily fragmented natural environment. Most birds and reptiles roam and are often cut off by development, however in this area of Perth there are some sections of bush and native trees to aid their survival. Many local residents have native trees and plants growing in their backyards. Nearby, the council have planted paperbark trees and other various ones. All of this helps animals to move from one bush land spot to the next, though for reptiles and small mammals it’s incredibly risky crossing roads. 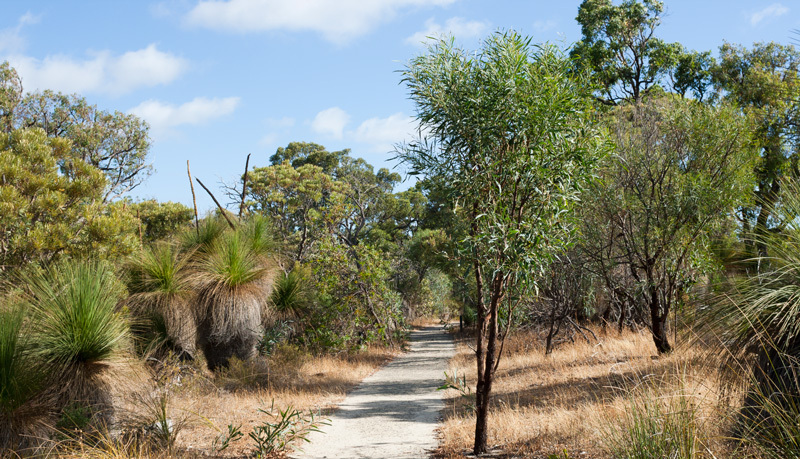 The railway heritage trail in the Perth hills is a stellar example of a nature corridor. Lovely sunset photos and good reminder to get out and make use of the bushlands, even during the hotter summer months. Doesn’t matter how busy the day was, nature knows how to soothe the soul.